Abstract: The geology and hydrogeology of the Liptovská Kotlina Depression were studied by means of new geophysical methods. 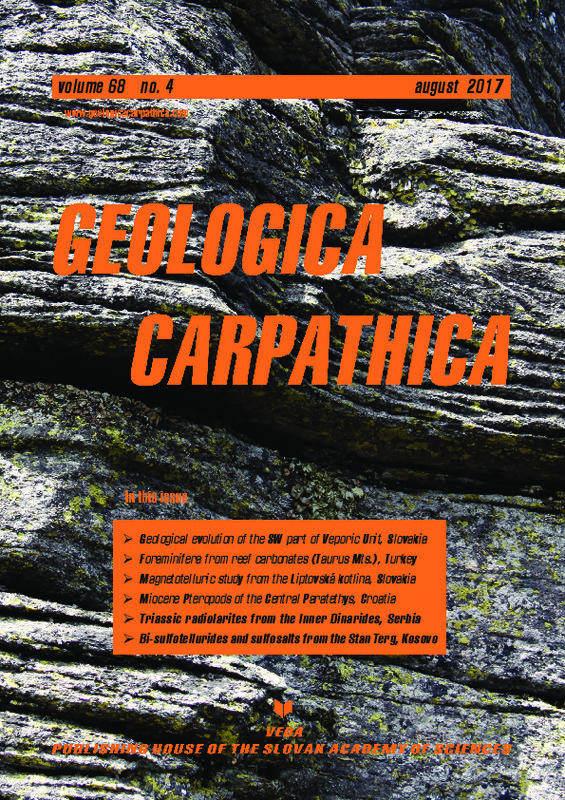 Controlled source audio-frequency magnetotellurics enabled us to delineate the relief of the pre-Cainozoic basement in the western part of the Liptovská Kotlina Depression into two segments with different lithostratigraphic units. Our complex findings disprove the interconnection between the Bešeňová and Lúčky water bearing structures located in the study area. The results were interpreted in the form of a resistivity cross section and resistivity model. The geological interpretation of the obtained results, taking into account the other geophysical and geological constrains showed that the pre-Cainozoic basement has a tectonically disrupted, broken relief. The Bešeňová and Lúčky structures appear to be isolated by the Palaeogene sediments (sandstone, claystone) and in the deeper part also by marly carbonates and marlstones of the Jurassic age belonging to the Fatricum. It was confirmed that the structural connectivity of geothermal aquifers in the area between the Bešeňová and Lúčky–Kaľameny should not exist. The assumption of different circulation depth was also confirmed by geothermometry and existing radiocarbon analyses applied on groundwater in both areas.